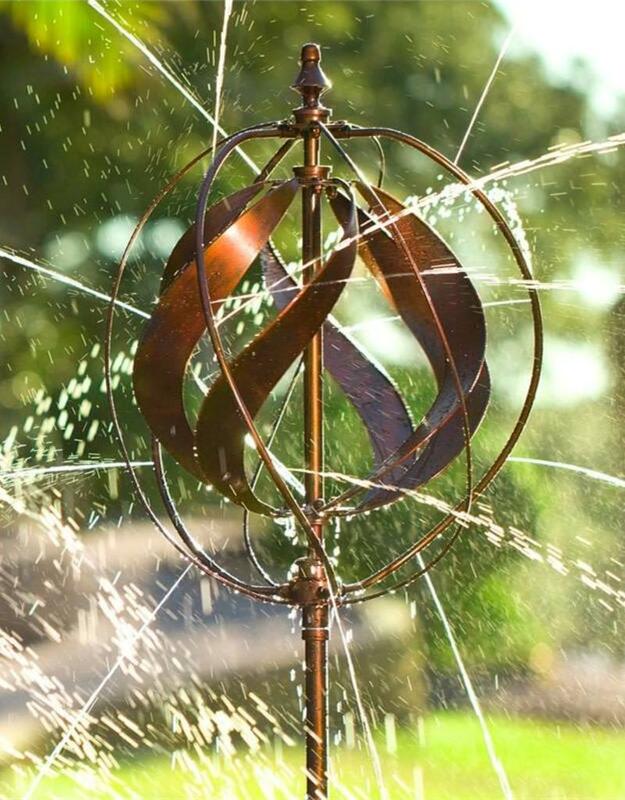 Are you wondering what sprinkler is best to water your lawn? 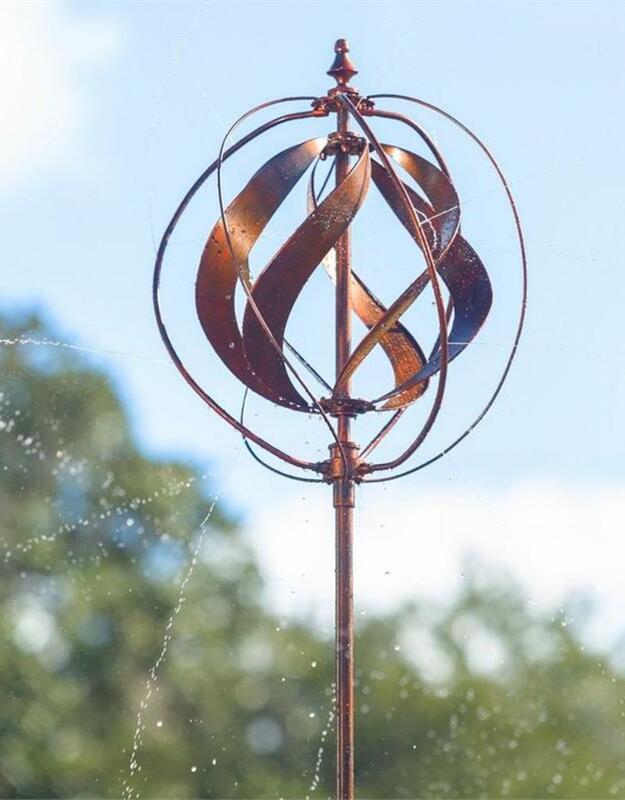 This functional kinetic spinner is a beautiful solution. 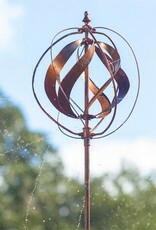 This stake, also known as a Hydro Spinner, is copper colored with an inner helix that spins around to water your lawn. 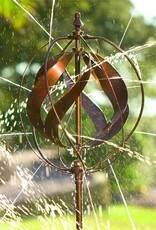 The stake will spin with or without water, so enjoy it beauty whether you are watering the lawn or not! The spinner has four sturdy prongs that plant it into the ground. Water will spray up to 32" in diameter.